Thiessen Team supplies a variety of standard and customizable grouts in Nevada, Montana and other Western States to meet your application requirements. Grout is a binding agent used in mining, construction and engineering applications. Grout is typically a combination of cement and water with or without fine sand. Grout can also be used in void or cavern fill applications. 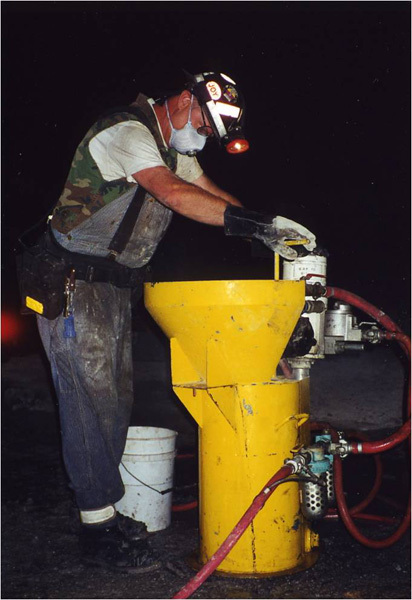 With the addition of the new generation Cellular Concrete Technology, Lite Weight Grout can be used to dramatically lower costs. 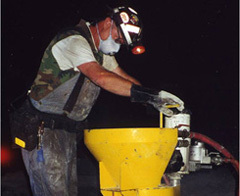 Water Cut-Off Grout is an unsanded blend of cement, silica fume (microsilica) and other carefully selected admixtures. It is designed to be a pumpable grout that resists washout by flowing water and behaves similar to a microfine cement. 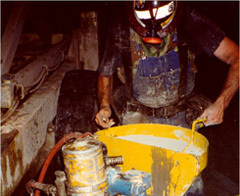 Non-Shrink Grout is a sanded, cement based, non ferrous, non shrink grout. This specially formulated grout features reliability and high performance for a variety of general grouting purposes. Terragrout CB is an unsanded, cement based expanding grout containing silica fume (microsilica) and other carefully selected additives. Terragrout CB gains strength quickly and resists water washout, making it ideal for anchoring tendons, cables and bolts into soil or rock media. 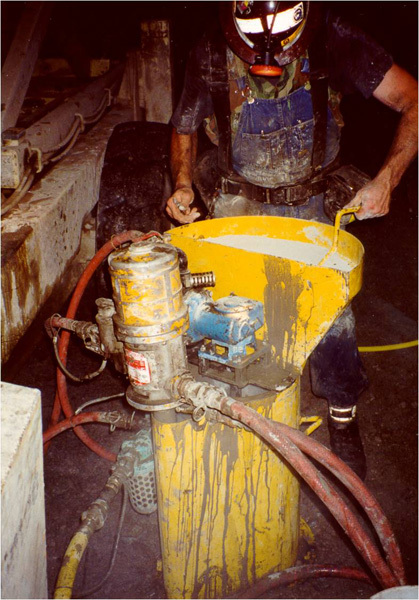 Thiessen Team Cellular Concrete (TCC) is a low density, cellular concrete — an effective combination of foaming agent and cement slurry. Standard Concrete Mix "Betty Crocker"